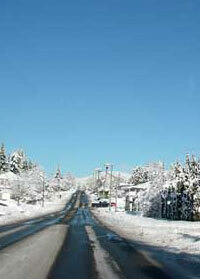 The Repossession of Genie Magee is based around the mountain town of Spurlake BC. 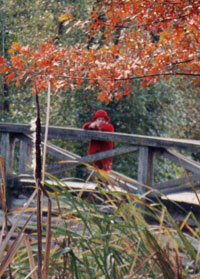 This is Genie Magee's only image of herself as a child crossing the bridge to her Grandma's place one autumn day. You can just spot her in red... That's the trouble with family photos. Keeping them, finding them. Tells you a lot about a family where there aren't any photos to remember stuff by. 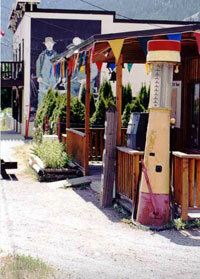 The old gas station in Spurlake was left pretty much as it was with the old handpump in place. I guess they were hoping tourists would come, but not many do. Old man Jessup is in charge - when he's not tending to his prune trees. He's been predicting that people will discover Spurlake as a hidden tourist gem for years now. 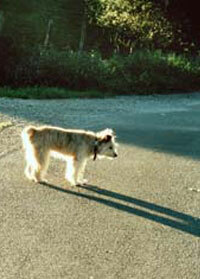 But then he's up against folks who quite like being undiscovered thank you very much. Folks in Spurlake are quite private and they'll be happy to serve you and be polite an' all, but just as happy to see you leave. 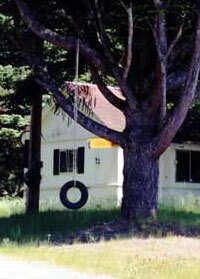 One of the reasons not many people stay in Spurlake is the Elk Motel - which never did much business anyway. Got an old tyre swing though - so kids are catered for... Most famous incident was a knife throwing contest that got out of hand in 1937 but few people remember much about it now except someone had to be carried out with a knife in the head and complaining bitterly about a ruined hat. 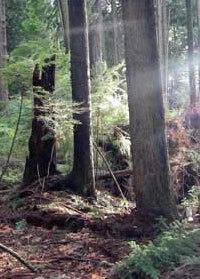 Spurlake is surrounded by forests. There are mostly likely bears. Storms too, that can snap a huge tree in half if it feels like it and often does... One of the best times to come is when a storm is brewing. 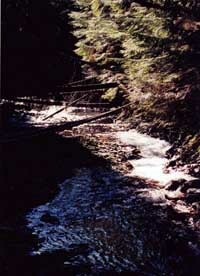 Seeing the way the streams fill up when it rains and turn wild, almost in an instant. Salmon come to spawn around here, used to be that more came but it's not easy given all the obstacles mankind puts in their way. Lightning is pretty spectacular around here too. If you like sudden bad weather, this is the place to come for sure. That's what happens when you live by a mountain. Bears like it, at least. Don't ever go near a mamma bear if she's got cubs in tow. They will defend fiercely. Downtown Spurlake has seen better days. 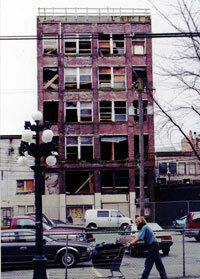 This was once the tallest building, built in 1898. Munby Tower. They say it's going to be re-developed but then again - they said that thirty years ago too. Not much call for apartments in Spurlake. 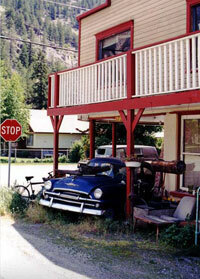 Most people like to own a home, a deck, a place to put the truck. Most likely that's why they never quite get around to refurbishing old Munby Towers. No place to put your truck. 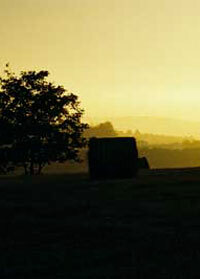 A lot of the story takes place at Marshall's Farm. 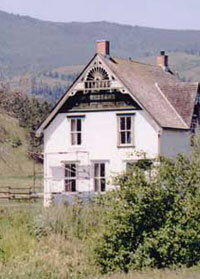 Built over 130 years ago it has a lot of history. It's possible Genie's great grandfather built the home from his first fortune made during the gold rush but there's no proof of that. As it stands it's old and you can't see the old barn in this shot but it's there. The apple orchards are to one side. It's organic, which means no pesticides are used. It's much harder to grow apples without controlling pests but they fetch a higher price. The trick is to keep the wasps away. This is the vast reservoir that feeds the huge turbines of The Fortress (Fortransco Experimental Site) buried in the mountains. Worth contrasting with the reservoir above Marshall's home (see below) where it only fills after a major storm. The image below was taken after a very hot summer and there had been no rain for months. This is pretty unsual as BC is famous for rain, especially in summer. Humid air drifts in from the Pacific Ocean and dumps the moisture it on the hills and mountains. Genie and Moucher went to swim in the Fortransco Reservoir further up the mountain but photography is restricted up there and I was unable to get near enough to photograph it. This is the stream Genie and Moucher walked up.. The reality is Fortransco Corp has stolen much of the water in this region for power generation. Hydro is a big thing in BC. If you live outside of town this is where your mail comes. Might not be for much longer of course as mail seems to be going the way of the Sedan Chair. (You'll have to look up what the hell a Sedan Chair used to be). 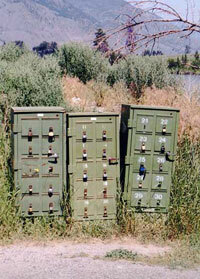 This is Marshall's mailbox, almost ten kilometres from the farm. The Mailman doesn't go to door outside the town, you have to get in your truck and go fetch it. Canada is big and wide and it's a long walk if you had to deliver mail by hand. 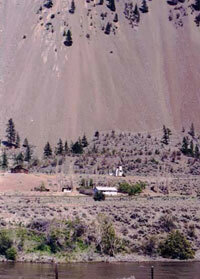 Think you are tough enough to live out here? It's a good life but you need to enjoy the outdoors and growing stuff. If you think you might be a city person in need of a latte four times a day - you'd be out of luck. 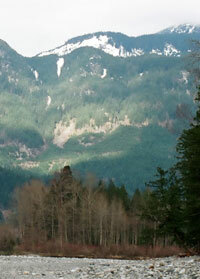 Spurlake has a small river that flows from the lake into the Fraser River. One time the river was used to float down river all the forests they clear cut and even host the odd gambling boat. All gone now, but the river's still there. 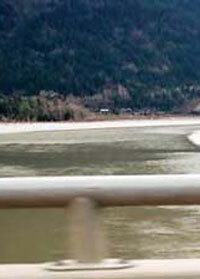 Take a trip up the Fraser River yourself, you'll find it is one of the longest in the world. 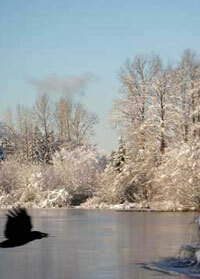 Rian took this photo of a wild bird taking off from the lake in winter. Spurlake looks at its best in Winter, I think. If you know where to go there some great tobagganing and if you knock on Rita Skeener's door she'll oblige with some hot cocoa if you ask nicely, but don't tell her I said so. South of Spurlake - Rian's home is buried under some snow around here. You live here you expect to be buried up to your neck some months of the year.